Some have called elder abuse “the crime of the century”. One of the few ways to stop financial elder abuse is to report it. If you suspect that this is happening to someone you care about, it is important to know what to do. Here are the steps you can take to report financial elder abuse. Sadly, most abusers are family members. I have heard numerous people tell me that their aging loved one was being taken advantage of by a relative, but that they “didn’t want to make trouble” for the relative, so they weren’t going to get the police involved. This is frustrating for any lawyer to hear. In their minds, abuse is better than “making trouble”. I can’t report it, as the names are kept secret from me by these individuals. Most often, they call to confirm their suspicions that a certain action sounds like financial elder abuse. I listen, I tell them it does sound suspicious, and to please call the Elder Abuse Hotline. Then, they do nothing. Maybe you’re one of those who do nothing, or perhaps you’re considering reporting this crime, but don’t know how to do it. If you think an elder in your life has been or is being abused, I can only urge you to speak up. You need details to make a useful report of financial abuse. The process varies from state to state, but in most situations, law enforcement has a reporting form which allows you to make a report of abuse confidentially. In any report, whether written or verbal, certain essential information must be included in order to permit law enforcement to do its job. 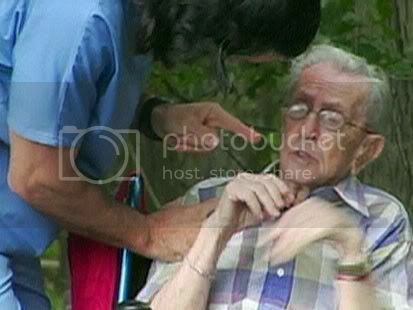 You must name the elder whom you think is being abused, and identify the address where the elder can be found. You must name the suspected abuser, and provide that address if you have it. You are not required to give your name, but it can be helpful for you to answer law enforcement’s questions as an investigation of the suspected abuse begins. If you report abuse, the matter will likely be referred for investigation, and an experienced investigator will contact you. If you are afraid of the suspected abuser, you can remain anonymous. Law enforcement needs witnesses and other evidence to make its case against an abuser. Identify the witnesses who are aware of the suspected abuse. The more specific things you can provide, and the more witnesses you have to back you up, the better. The district attorney in your county or state has a better chance of stopping an abuser by getting him or her convicted of a crime if you can help provide the necessary evidence the D.A. can use in court. If you believe that this crime is taking place, there is no easy way to stop it. Reporting it takes the matter out of your hands and puts it on law enforcement to protect the elder. We cannot stop the horrible effects of elder abuse unless we are willing to speak out and report the facts. If the suspected abuser is a family member, it may be painful to meet your duty, but we encourage you to go forward and report this crime for the sake of protecting our vulnerable elders. Some elders are threatened and intimidated by their abusers and are too frightened to report the problem themselves.